As a handheld scope, a helmet-mounted monocular, or a weapon sight used in conjunction with an infrared laser aimer, the EOTech M914 Night Vision Monocular is one incredibly versatile device. Inside is an automatic brightness control and bright light cut-off system that adjusts the image to match lighting conditions, plus protect the monocular’s internal components from excessive light. 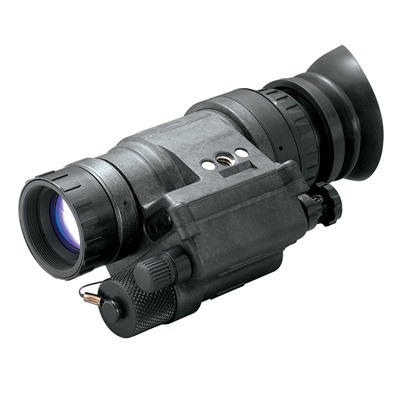 The M914’s integrated infrared LED provides illumination for map reading or other short-range activities. A low-battery indicator located in the eyepiece gives you plenty of warning if your battery is about to fail. Altogether, the EOTech M914 Night Vision Monocular delivers Gen 3 night vision performance with convenient hands-free operation or weapon-mounted operation. Ships from Manufacturer. Additional processing time required. Please allow for 0 additional business days for shipping.